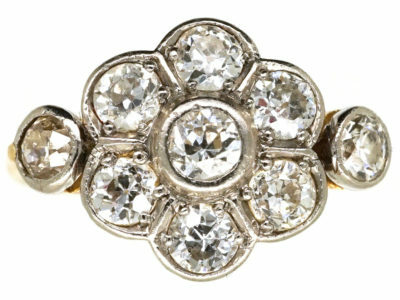 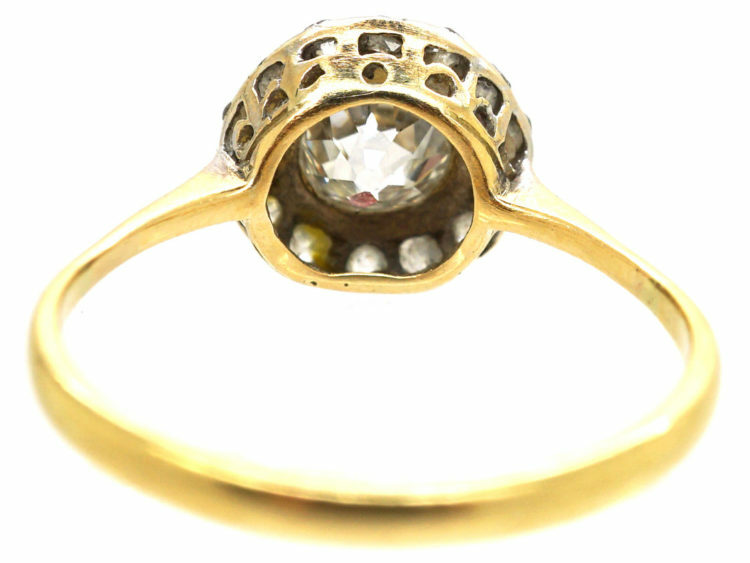 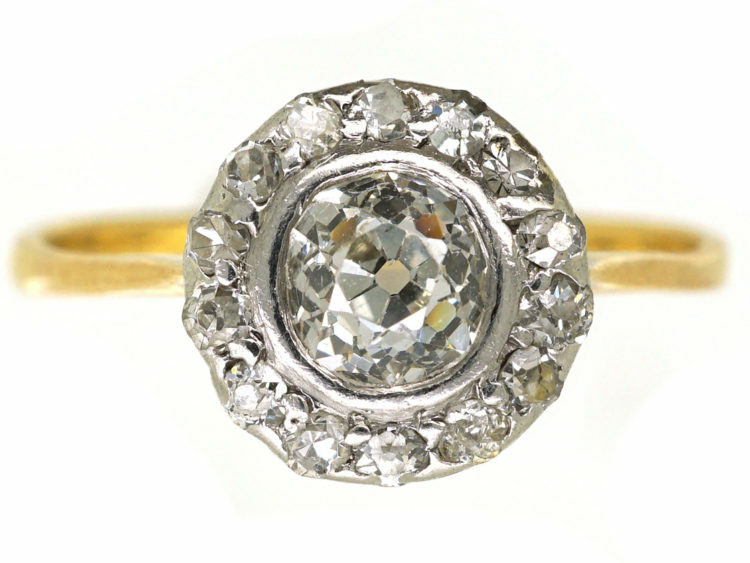 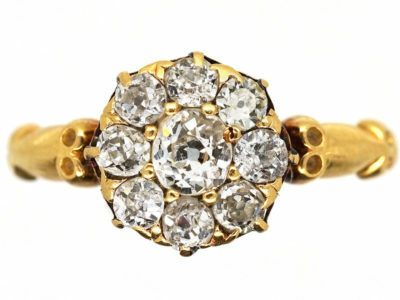 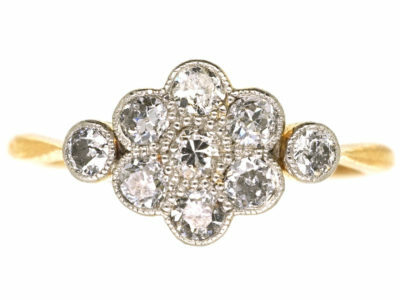 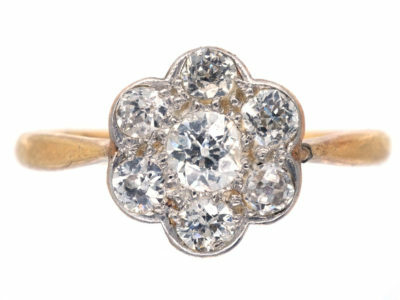 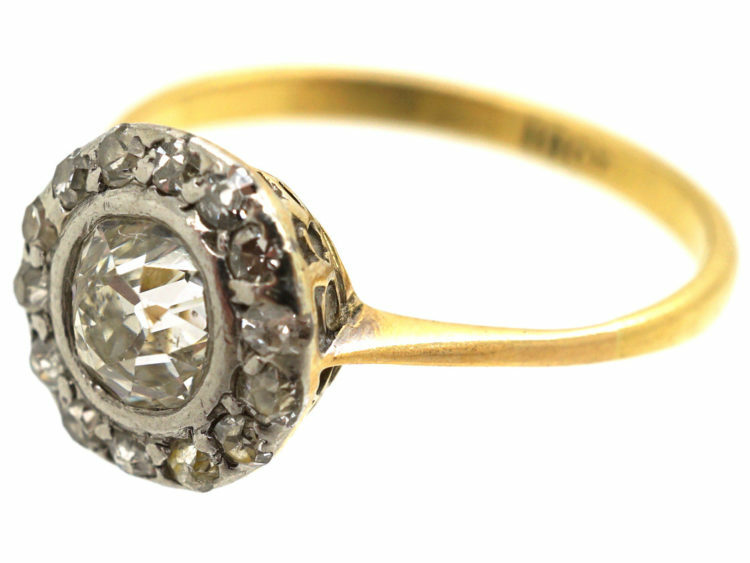 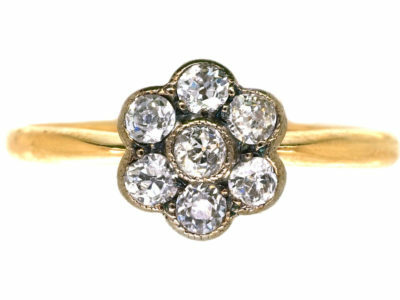 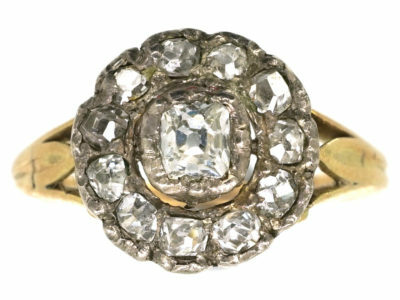 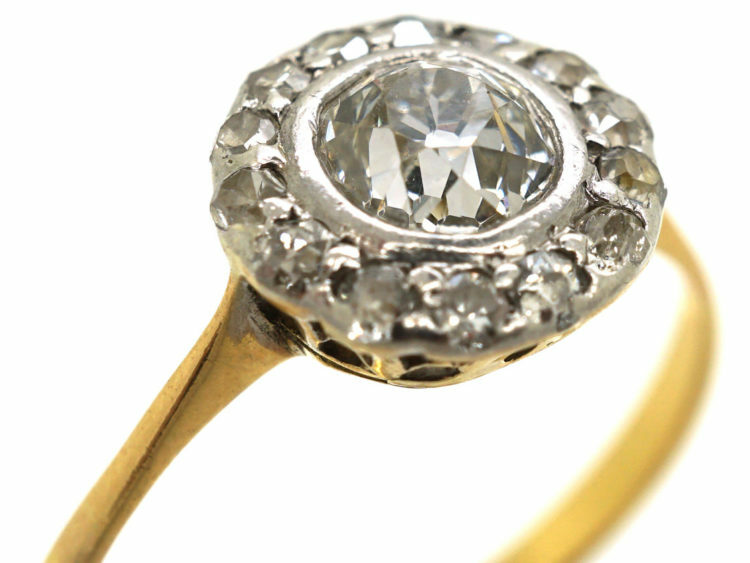 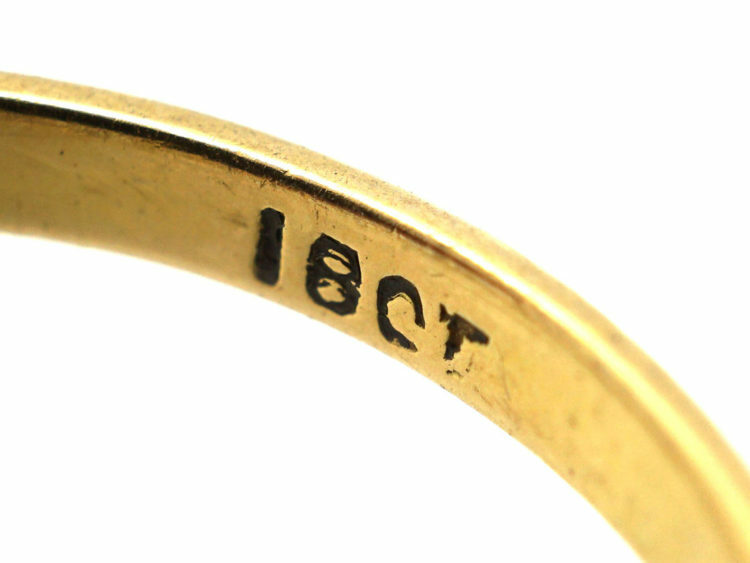 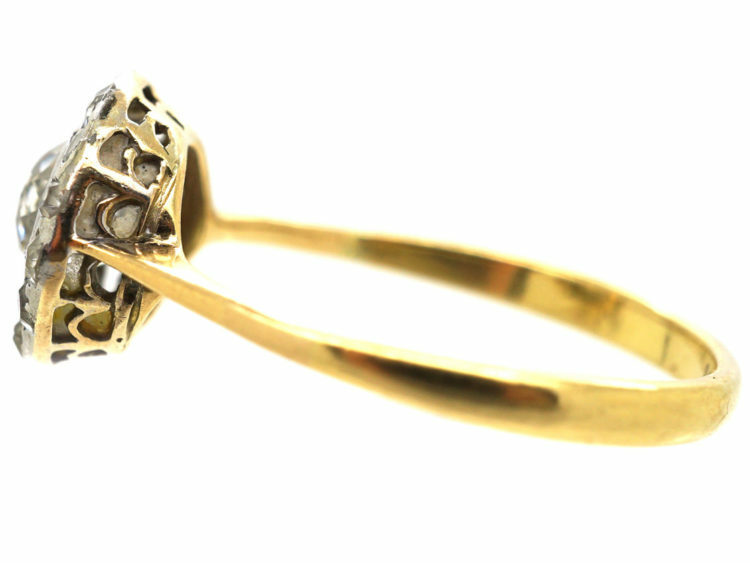 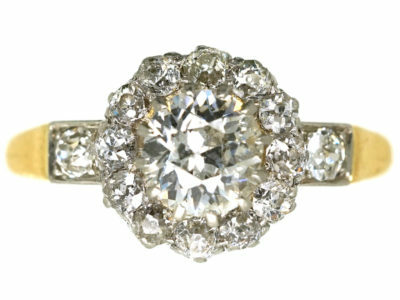 A really pretty 18ct gold and platinum Edwardian ring that was made circa 1900-1910. 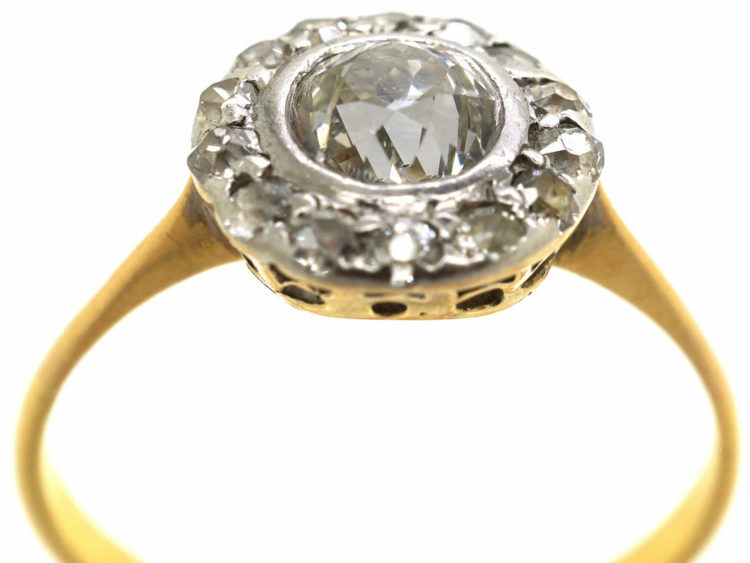 It has been set with an old mine cut half carat diamond in a rub over setting. 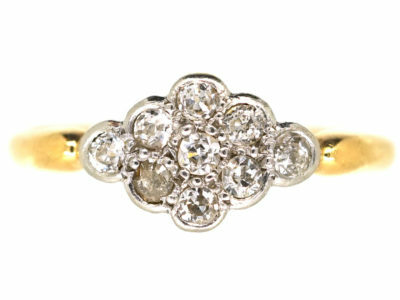 It is surrounded by small well matched white diamonds. 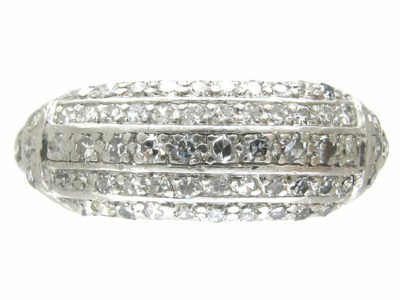 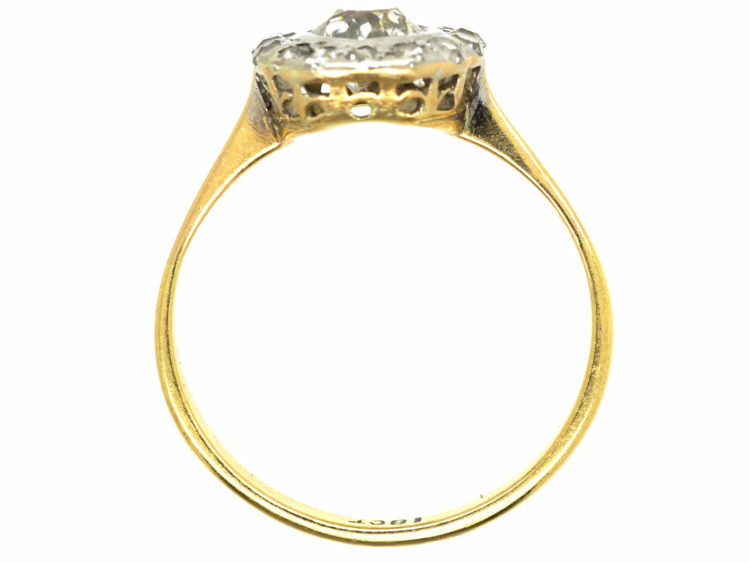 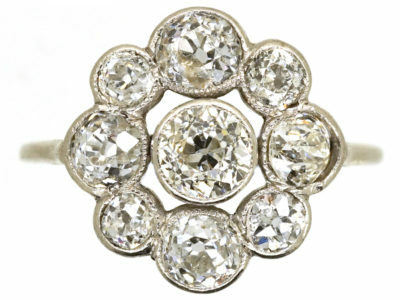 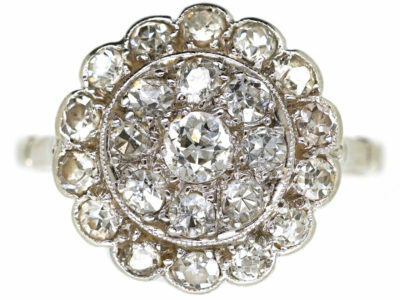 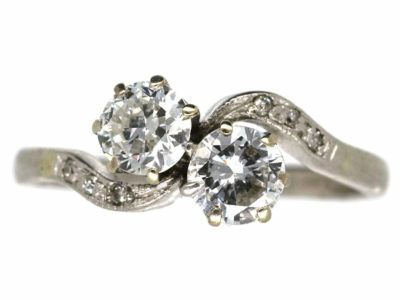 It sits low on the finger so is really practical to wear every day, and would be ideal as an engagement ring.